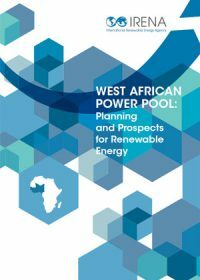 The Renewables Readiness Assessment is a comprehensive tool for assessing the conditions existing in a country for the development and deployment of renewable energy, along with the actions required to improve those conditions. 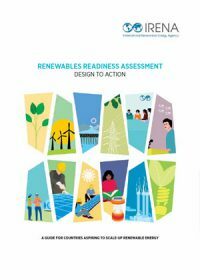 Designed and refined since 2011, the Renewables Readiness Assessment is a country-initiated, country-led process that identifies short- to medium-term actions for the rapid scale-up of renewables. 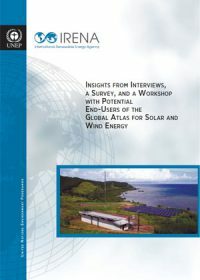 International Renewable Energy Agency’s Renewable Energy Country Profiles describe developments in the field of renewables at country level around the world. This report covers the European Union, with profiles for Austria, Belgium, Bulgaria, Cyprus, the Czech Republic, Denmark, Estonia, Finland, France, Germany, Greece, Hungary, Ireland, Italy, Latvia, Lithuania, Luxembourg, Malta, the Netherlands, Poland, Portugal, Romania, Slovakia, Slovenia, Spain, Sweden and the United Kingdom. 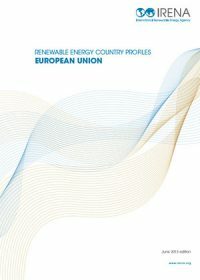 Renewable Energy Country Profiles provide a comprehensive picture of the situation with regard to renewable energy, including energy supply, electrical generation and grid capacity, and access. 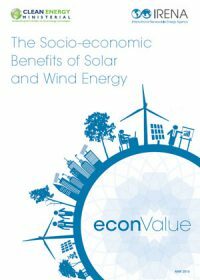 Energy policies, targets and projects are also considered, along with each country’s investment climate and endowment with renewable energy resources. 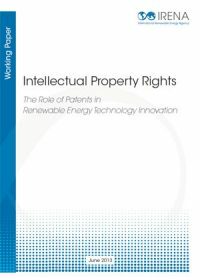 This working paper focuses on patents and describes the basics of what patents are and how they work, as well as presenting some ideas of how patents and their information can be used to encourage renewable energy technology innovation. Some examples of the use of patent information to indicate the trends of technology developments, technology transfers and knowledge generation are assessed. 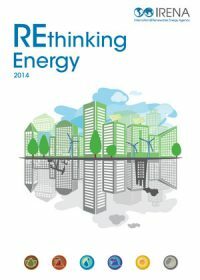 A working paper from the International Renewable Energy Agency (IRENA) explaining methodological issues related to energy accounting for bioenergy and distributed renewable energy sources. The paper lists uncertainties and gaps that occur in statistics for these energy sources at different levels of the energy-balance table, proposing remedies to some of the identified problems. The remedies are incorporated into the IRENA Statistical Questionnaire that is this year being distributed to Member Countries. 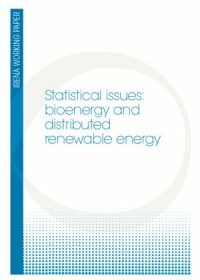 The aim of this methodological work is to improve accuracy of global bioenergy statistics and identify the largest elements of distributed generation, currently rarely covered by national energy statistics. 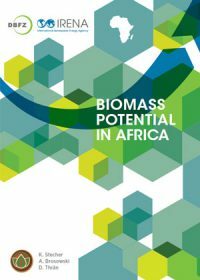 Statistical approaches need to be expanded as soon as possible to take proper account of bioenergy and distributed generation, in order to more accurately portray these growing sources of energy supply and consumption. 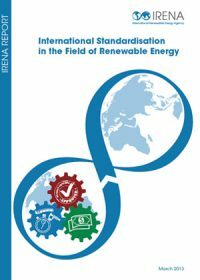 This report describes the outcomes of an International Renewable Energy Agency study of renewable energy standards. The study identified over 570 standards in the current renewable energy technologies landscape, and exposes gaps in the existing standards, particularly for post-installation aspects of renewable energy technologies, such as operation, maintenance and repair. 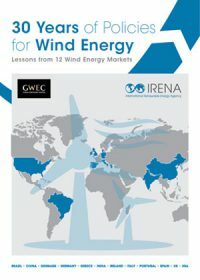 The key message from this report is that it is crucial to ensure a strategic pathway in standardisation for renewable energy technologies, taking into account the requirements and priorities of all involved stakeholders. 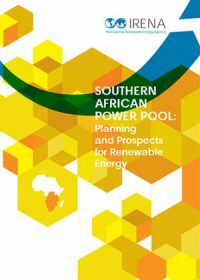 This report presents a study describing the transition of national power systems to a renewables-oriented future over the period 2010 to 2050 in the Southern African Region, which could be implemented by realising the long-term cost reduction potential of renewable technologies.